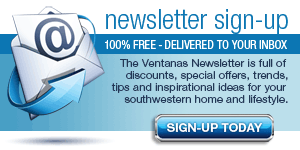 Throughout the years, Ventanas magazine has had the opportunity to develop close relationships with many developers, builders, remodelers, designers, suppliers and artisans in the El Paso, Las Cruces and Ruidoso regions. Whether you are remodeling or building a new home, this Home and Garden Directory serves as a guide to provide you with many recommended resources for your upcoming projects. 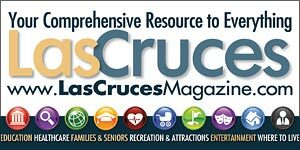 Southern New Mexico and West Texas offer a large selection of communities and subdivisions from which to enjoy the scenic beauty of the region. Shopping for a home that fits your lifestyle and budget? View our directory of licensed, experienced and talented custom and production home builders. Need some help with your home improvement project? Whether you are buying an existing home or remodeling your own, here are our recommended resources. Whether redecorating your current home or decorating a new home, here are numerous resources for home décor products and certified interior designers. From Spanish Territorial to Santa Fe Pueblo and Tuscan styles, many talented architectural firms are provided here to help you design your dream home. Swimming pool, spa and decking resources. Whether building new or renovating an existing pool or spa these contractors, dealers and designers can help. Professional landcape design and installation for your year-round enjoyment. 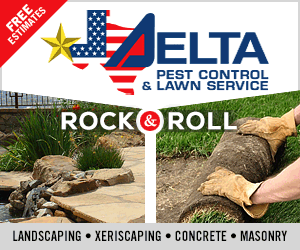 Synthetic lawns, shade trees, decorative rock and low-water plants of all types. Resources on outdoor kitchens from simple BBQ grills to full kitchens with built-in cooking and refrigeration. Plus information on fire pits and outdoor fireplaces. See the latest in appliances, sinks, faucets, hardware, cabinetry, counter surfaces, lighting and flooring while picking-up design and layout tips from our experts. Why settle for wallpaper? Faux finishes and diamond luster wall finishers are now common. Flooring includes wood, stone & ceramic tile, laminate and carpeting. View furniture stores with styles from rustic Spanish to modern metro. A large selection of accessories and home décor providers is offered to help you finish any room. In a region that enjoys continuous sunshine, good windows, doors and roofs are important. From unique designs to energy efficiency, you'll find what you need here. Our region is home to many fine artists and art galleries. Today's homes are often accessorized with scenic southwest, Mexican and contemporary works of art. Here you'll find all the area's best suppliers of indoor fixtures, light kits, chandeliers, wall sconces, accent lighting, ceiling fans, table lights and outdoor lighting. Fences, gates, doors, windows and staircases are often constructed with decorative wrought iron or steel. Ornamental iron serves as an excellent finish to any project. Add warmth and ambiance to your home with a variety of wood, gas & pellet-burning fireplaces or fireplace inserts. Ceramic log sets and hearth products also available. Home theater set-up, surround sound, security & alarm systems, data & voice communications, low voltage wiring, video survelliance, and home automation. Designing a heating and cooling system requires an experienced vendor. Always utilize licensed electrical and plumbing companies for remodeling your home. Make your home energy efficient utilizing solar energy and other energy saving techniques. Maximize the utilities needed to maintain your household. Give your home a unique personality with various exterior treatments. Whether brick, stone, rock, stucco, metal siding or carved wood the options are numerous. Storage solution experts can maximize and organize the space in every room of your house: closets, garage, pantry, laundry room, bedroom, kitchen & bathroom. Protect your home against the intense southwest sun by covering your patios and windows. Shade covers help make your home more energy efficient. You often rely on professionals to complete a successful real estate transaction. Banks, mortgage & title companies, insurance agents, appraisers and surveyors.